When tooth decay or cavities sneak in, they can cause damage to your gums and teeth – resulting in the loss of a tooth. 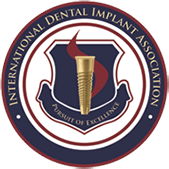 Today’s modern procedures can protect your teeth and stop tooth loss if your teeth have become damaged. Modern Family Dental Care uses the best practices to provide Charlotte and Concord root canal therapy to prevent and correct tooth decay or loss. During a root canal procedure at our dentist offices in Charlotte or Concord, we remove the infected or damaged nerve and pulp from the center of the affected tooth. Our root canal specialists also eradicate harmful bacteria (that’s formed due to the damaged tooth) by thoroughly cleaning the area. The space is then filled with a special dental material and sealed to prevent further infection. After the root canal procedure has taken place, you’ll be left with a pain-free and fully functional tooth. If you’re experiencing mild to severe tooth pain and / or swollen gums surrounding a tooth, you should schedule an appointment with a dentist immediately. Why? Because you may need a root canal. Root canal therapy can prevent tooth loss if your tooth or the nerves connecting your teeth have become damaged by decay. At Modern, we only use the most advanced dental technology and techniques to give our patients beautiful, healthy smiles. If you’re interested in learning more about our root canal therapy, contact us today. 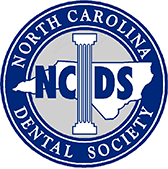 Our friendly, caring staff are happy to answer questions you may have about any of our dental services near Charlotte. 1) Will I be in Pain After the Procedure? In most cases, any pain associated with a root canal will begin to subside within 48 hours. However, discomfort can last several days following the procedure. Over-the-counter medicine, such as ibuprofen, Aleve, or aspirin will assist with pain management. 2) How Long Does a Root Canal Last? With proper care, a root canal can last forever. However, if cracks or decay occur around the filling you will need to contact your dentist for an evaluation. To prevent further complications from arising brush, floss, and have dental cleanings (link to dental cleanings page) regularly. 3) My Tooth Doesn’t Hurt – Do I Still Need a Root Canal? Even if no pain is present, a root canal may be necessary to save an infected tooth. Upon exam, our dentists at Modern Family Dental Care’s Charlotte and Concord offices can tell if the pulp of your tooth is infected and advise the best treatment plan. If you have any questions about our root canal therapy services at our Concord and Charlotte offices contact us today. Our passionate team will walk you through what to expect during a root canal, and answer any additional questions you have. If going to the dentist to have a root canal and crown can ever be called a great experience this is it. I will continue to be a patient.